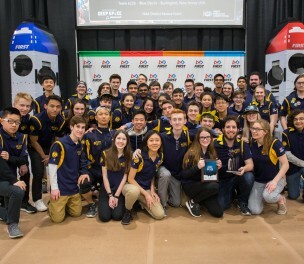 This blog post was written by Daniel C., co-captain of Team 341 during the 2018-2019 season. I have found myself surrounded by a wide variety of living organisms who seem to have developed a certain chain of command, like the humble worker bee. Long hours of observation and interaction with these organisms have made this a very fulfilling anthropological expedition. I’ve come to realize that these beings are receiving materials of some kind in packages labelled “VexPro” and “McMaster-Carr.” The creatures also, in turn, send out some of the parts to Penn State Great Valley and Computer Components Corporation, only to have them returned with holes and pieces taken off. I believe this to be an offering for the gods, and the sacrifice has worked! 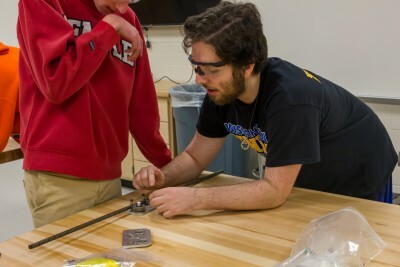 Glorious metals – some long, some stout – and sheets upon sheets of plastic – both translucent and opaque, with and without texture – are now being utilized to assemble some sort of forced labor worker, or robota as the Czechs once called it. I have worked endlessly to have myself accepted into the tribe as one of their own. They exchanged my clothing with a certain robe of multi-colored flannel, which I now don every weekend. I have also been gifted a brown necklace with some sort of silver gear draping off of it, which I wear daily as a sign of my devotion to the tribe. They feed me their traditional “mac and cheese” and “chicken” constantly, but I have no argument against it. They also greatly appreciated my contribution of “doughnuts,” and have finally approved of me becoming one of them. To anyone back home, to my mother and father who haven’t seen me in so long: do not be alarmed! I have made it! I have been taken in as one of the many, and eventually worked my way up the ranks to become their human leader. In all seriousness, I have learned so much throughout my time in the tribe. 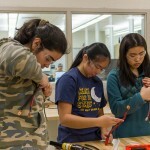 Many of these newfound ideas I have come across – not cutting lexan on the laser cutter, being gentle when transporting the CNC router – are due to the technological advancements the clan is making so rapidly. I have never witnessed a group of individuals evolve so fast in such a short period of time, advancing from shouting at images on tiny electronic screens and fastening planks of wood together to using precise laser guns, rapidly moving sharpened metal, and mysterious machines to generate feasible mechanisms. I have now become versed in their odd terminology, and realize the concepts that they are trying to achieve in the long run may actually work! 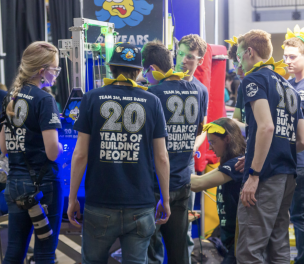 The elevator masts have been milled, with the help of an allied tribe who goes by the name “Wolfpack: Team 5407.” The various Cargo manipulators have begun assembly, and thanks to a well thought-out plan, will be in their final stage – rollers, gearboxes, and all – in just a matter of days. Their two-part Hatch Panel retrieval and disposal system is still in the works, but the small group shows no loss of faith. 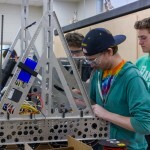 The chassis of their “robot” has been constructed and wired, and looks absolutely stunning. 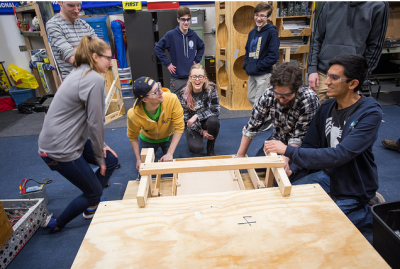 The Habitat Climbing mechanism is awaiting their turn on the drivebase, but have other items on their agenda to accomplish before the integration. The tribe Miss Daisy: Team 341 is strong willed. There have been some setbacks, but they are resilient and continue to chug along. I have no doubt that they will churn out one hell of a robot. 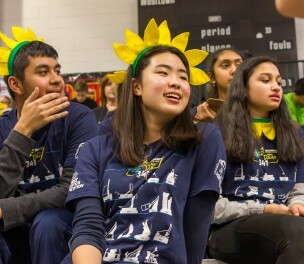 2016 FIRST® Robotics Team 341, Miss Daisy. Wissahickon High School. All Rights Reserved. Week 4: Does This Spark Joy?